Like many of Potter’s books, this is firmly rooted in the culture and behaviours of its time – more so than some of the most famous of them, in fact. 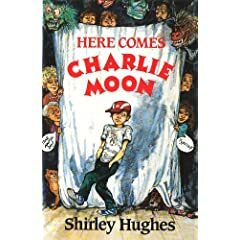 I’m not convinced I’d actually seen a copy of this particular one before, although most of the titles are familiar to me. As with some of the others, while in the beginning of the book the starring animals are fairly naturalistic in their behaviour, they seek out more human clothing and appurtenances, and by the end are living quite anthropomorphised lives. In this one we don’t see any humans directly, with interaction being mediated by a pair of dolls whose house the mice ransack. From the title onwards we are shown the negatives in their behaviour, while the mice are however given the chance to show that they are not trying to do wrong, but acting in an appropriate manner for them (little though the humans may like it), and even trying to make some kind of amends at the end. 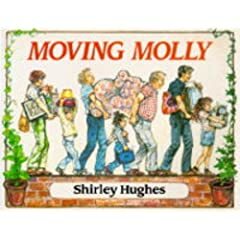 As with Shirley Hughes, Beatrix Potter fully integrates her beautiful, distinctive and fairly lifelike illustrations into the story. A good author-illustrator can do wonders with picture books! I’m going to stick with more simple discussions of books for the very young for now. 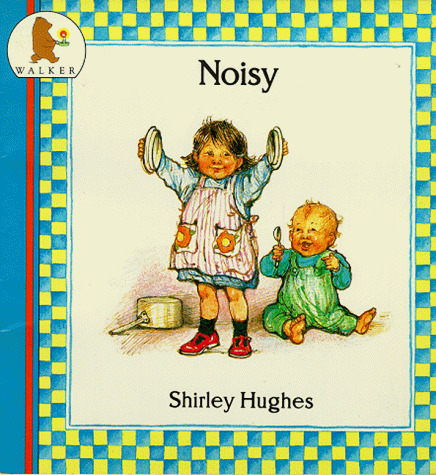 This is a rhythmic and (being Shirley Hughes) beautifully illustrated evocation of the noises in the life of a young girl and her baby brother. As she plays in and watches the world the parents are in the background doing the housework (both mother and father) and occasionally trying to relax (usually when the kids are at their loudest). Each square page is mostly filled with a single illustration, each with one or two lines of text to go with it and the size seems nice for sharing with a small number of children. I’m not sure a large group would get much out of the pictures, although it might still work well as lead-in to a discussion of other noises in their world.